KeyLines is an impressively powerful graph visualization technology. Its winning combination of scalability, performance and functionality has seen it deployed into some of the most demanding data environments around. To really capitalize on power of KeyLines, you need to pair it with a blazingly fast back-end. One increasingly popular option is the search technology, Elasticsearch. Elasticsearch is a fast and scalable open source search server. Its power and out-of-the-box simplicity has made it a popular option for organizations working with huge volumes of data. Users can perform near real time, full-text search across petabyte-scale datasets and get instant results. As of v2.3, Elasticsearch has also supported graph search via Elastic Graph. Using some clever graph analytics, Elastic Graph infers connected structures in your data indexes. This makes it possible to perform graph searches on a massive scale – and visualize the results with KeyLines. If you would like to try visualizing the Elastic Graph API for yourself, our step-by-step guide explains how to get started. 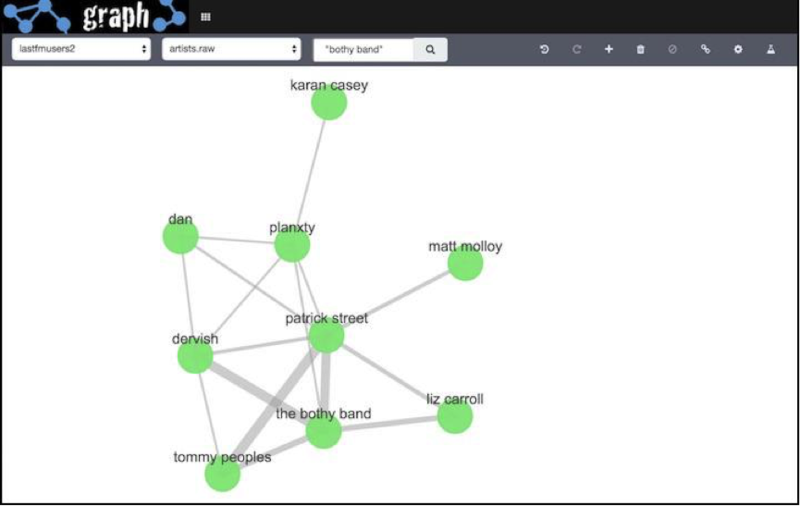 In 9 simple steps, you will be able to build a KeyLines application to search the Elastic Graph API, and visualize the results. Thanks for your interest. This tutorial is no longer available, but you can follow our generic KeyLines - Elastic tutorial instead.